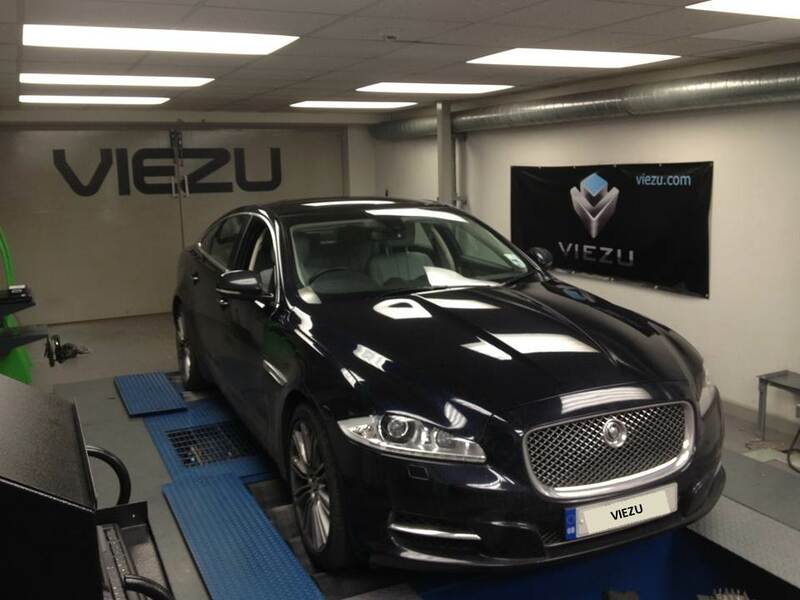 The Brand New Jaguar XJ 3.0 D was brought into the Viezu workshop for a remap with before and after rolling road (dyno) runs carried out. Jaguar engine tuning is something we are very familiar with and we set straight to work getting this stunning Jaguar 3.0 XJ strapped down on the dyno. 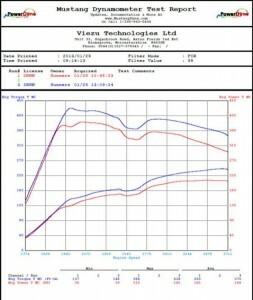 The Jaguar 3.0 XJ is smooth as silk, although you can see the inherent dip in the mid-range on the graph that is present on all of these Jaguar 3.0 diesel engines when being run on the rolling road (dyno). It is to do with the automatic gearbox and how it delivers the power on the dyno. On the road in real world conditions this does not exist, it is simply an anomaly that is present due to the auto box and the ‘kickdown’ software in the Jaguar XJ gearbox TCU (Transmission Control Unit). With the Original run complete, we set about removing the Jaguar 3.0 diesel ECU from the vehicle in order to connect to it on the TriCore KTAG. This was a straight forward process as this is a very common ECU for us to come across. With the data read from the Jaguar ecu micro-processer, we were able to remap and tune the Jaguar engine software. A short time later and we uploaded the Viezu Performance Remap back to the Jaguar ECU and then the relatively quick process of re-installing the ECU into the 3.0 XJ was completed. The modified runs showed a very smooth and progressive increase in power with a constant lift in the torque band. The remap really transformed this 3.0 diesel Jaguar XJ as expected, and gave a tuned increase of 35 horsepower at the wheels with an increase across the torque band of 65nm at the wheels.